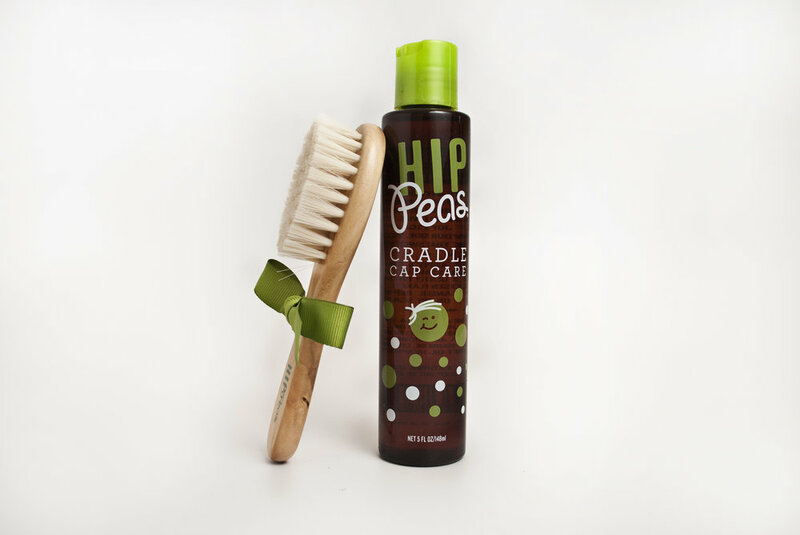 And to accompany your Cradle Cap Care product…..the Hip Peas Wooden Baby Brush! Say bye-bye to bedhead, baby! Hip Peas Baby Brush gently grooms your precious tot’s locks and helps tame fine baby flyaways. Our eco-friendly brush is designed for baby’s comfort and will leave that sweet little head healthy with silky, shiny tresses. Natural wooden handles and cruelty-free bristles are safe and gentle for even the littlest sweet pea! Wonderful when used in conjunction with Hip Peas Cradle Cap Care for gentle removal of cradle cap flakes and dry patches.